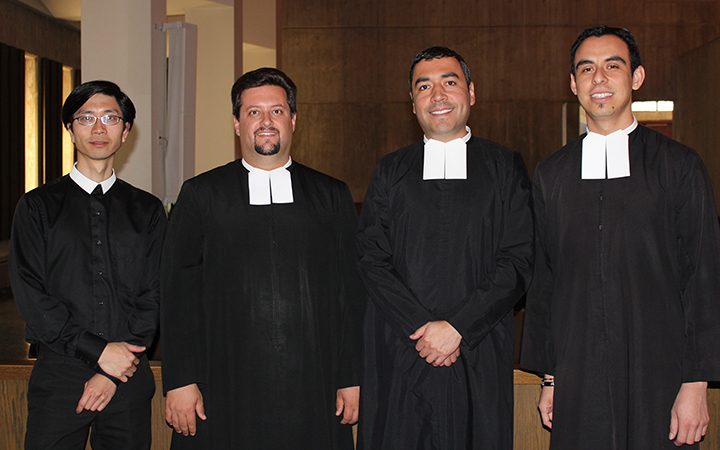 Four Brothers from the Lasallian Region of North America (RELAN) will join Brothers from each Region of the Institute this summer for the International Young Brothers Assembly in the Philippines. The 40 Brothers will gather at De La Salle University-Dasmarinas in Manila from July 29 to August 7 to take part in this unique opportunity. Representing RELAN will be Brothers David Caretti and Christopher Patiño from the San Francisco District and Brothers Anwar Martinez and Peter Nguyen from District of Eastern North America. Bro. Christopher serves as a member of the Assembly Preparatory Commission. This Assembly is a mandate of the 44th General Chapter which called for an international meeting of Young Brothers where they could express “their hopes and dreams for the years to come” (Circular 455). With the theme of “I came that they may have life, and have it more abundantly” (John 10, 10), the assembly is also a chance for Brothers to reflect and strengthen their identity, to appreciate and promote their vocation, and to discern together and continue to commit themselves to the Lasallian mission. In a letter announcing the Assembly, Superior General Brother Álvaro Rodríguez Echeverría asked Lasallians to pray personally and together for the success of the gathering. He also shared a prayer Lasallians can use leading up to the gathering. Outcomes from this assembly will be presented at the General Chapter in 2014. Preparation for this Assembly was one focus at the RELAN Young Brothers Gathering which took place in April and included creating and signing a statement of beliefs and hopes which will be presented at the assembly.